I’ve just finished my latest cartoon, which heralds my return to the New Testament, for a while at least! 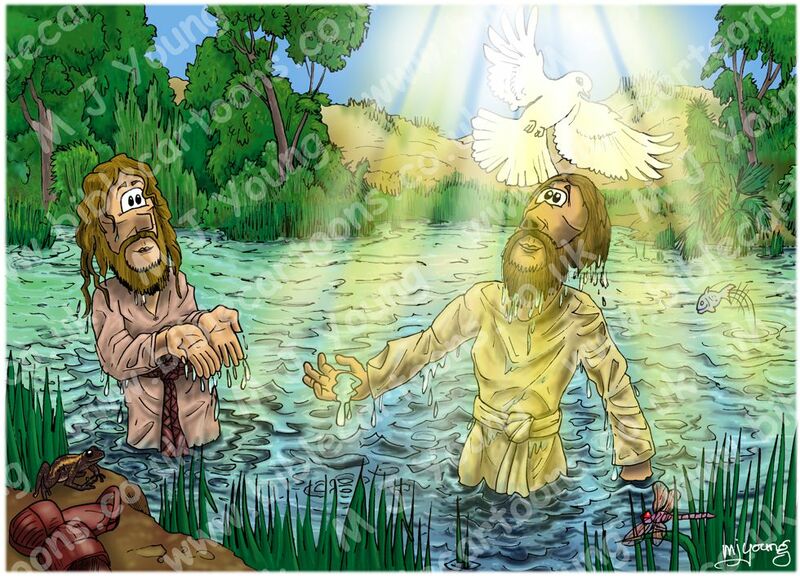 The new cartoon shows John the Baptist (on the left) & Jesus the Christ (on the right) standing in the River Jordan, which was where John the Baptist was baptising people who came to him. This scene shows the Spirit of God descending on Jesus, like a dove. I am very pleased with the way the river water has turned out!